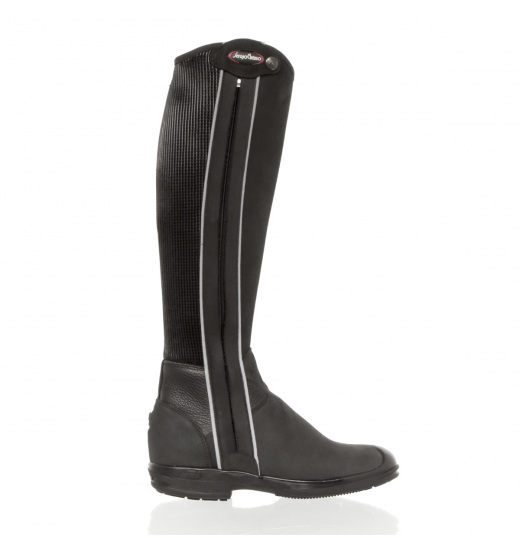 Shoes made of waterproof and breathable nubuck leather. Lined with a layer of thermal insulating material. Finished with an elastic insert that adjusts the shape of the shoe to the foot. 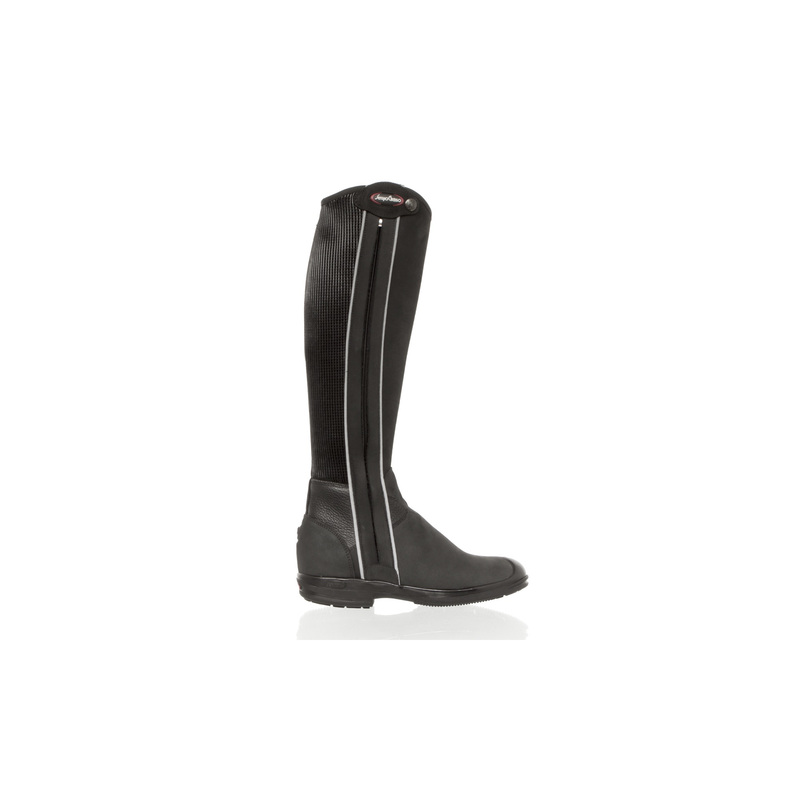 Boots have a zipper on the side. Antishock system inserts located in the middle of the shoe. The sole is made of non-slip rubber. 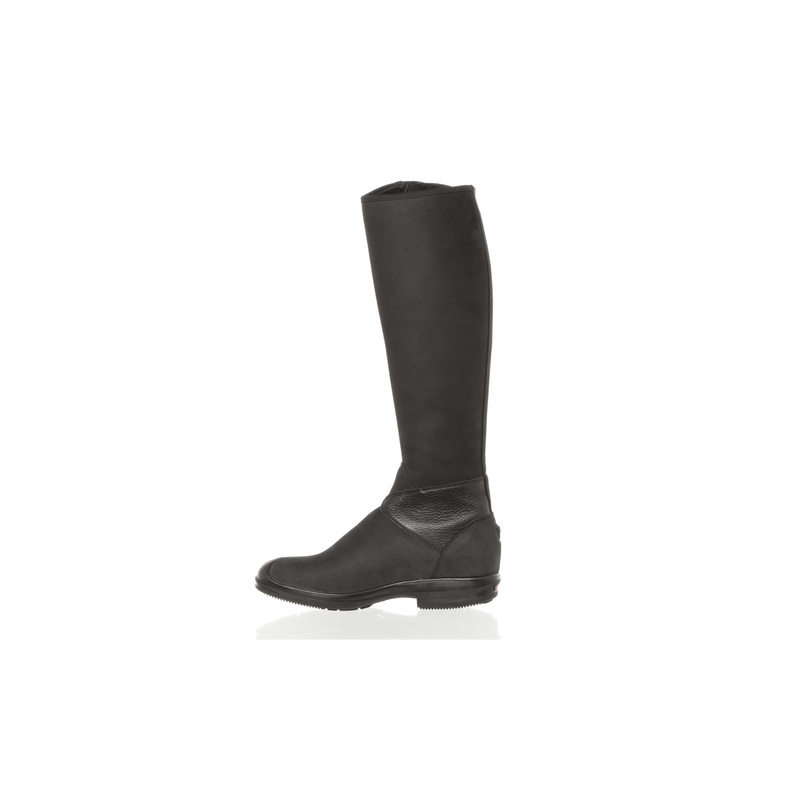 Boots designed for every riding discipline. The shoes are made in Italy. 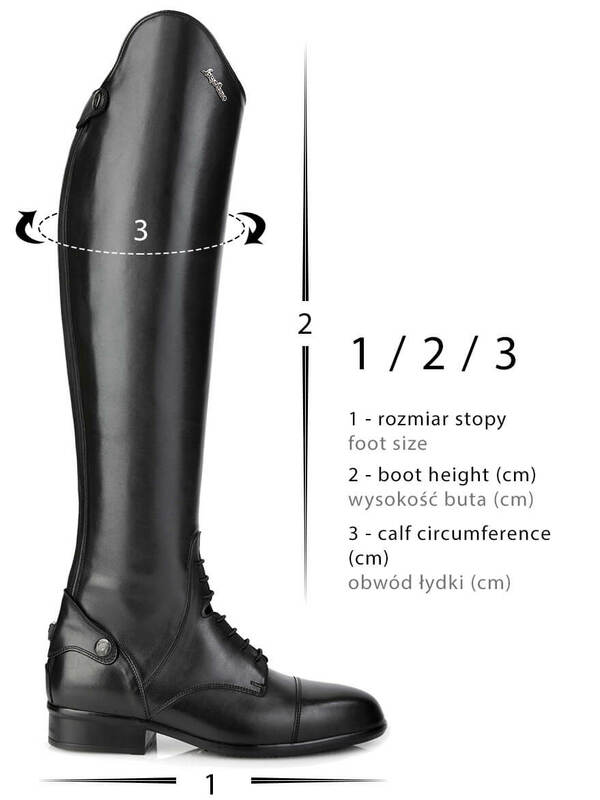 Shoe sizes are given according to the scheme: foot size and height / width in centimeters.